#2182 - 1 1/2 ACRE OF RIVERSIDE LAND WITH BUILDINGS LOCATED CLOSE TO BELMOPAN, CAYO DISTRICT. Title : #2182 - 1 1/2 ACRE OF RIVERSIDE LAND WITH BUILDINGS LOCATED CLOSE TO BELMOPAN, CAYO DISTRICT. PRICE LOWERED FROM US$75,000 BECAUSE OF HEALTH/AGE ISSUES. 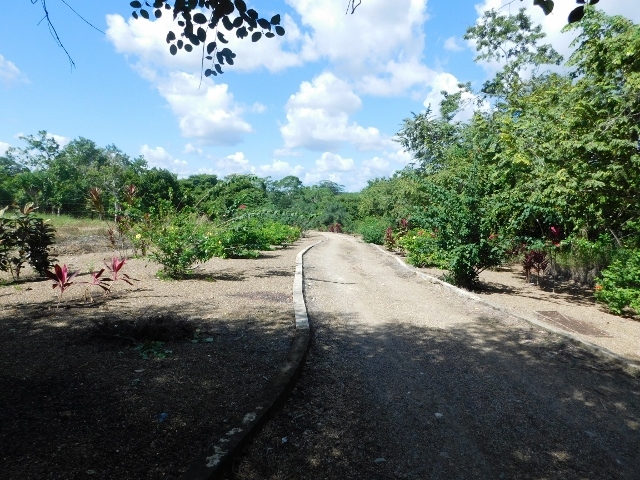 1 ½ acre of land with Belize River frontage located close to Belmopan, Cayo District. The property has a nice gated entrance from the main road and a pleasant landscaped, driveway leads to the domestic site. There is a house under construction and a covered RV to provide temporary accommodation. There is also a strong, concrete storage building. The property has frontage on the Belize River. It is located about ½ mile from the main highway and less than 2 miles from Belmopan City.